And when we created Gotham, it was not to try to build something separate, it was to recognize Ducatisti in New York City, with the ECD community as a sister organization that we would all participate. 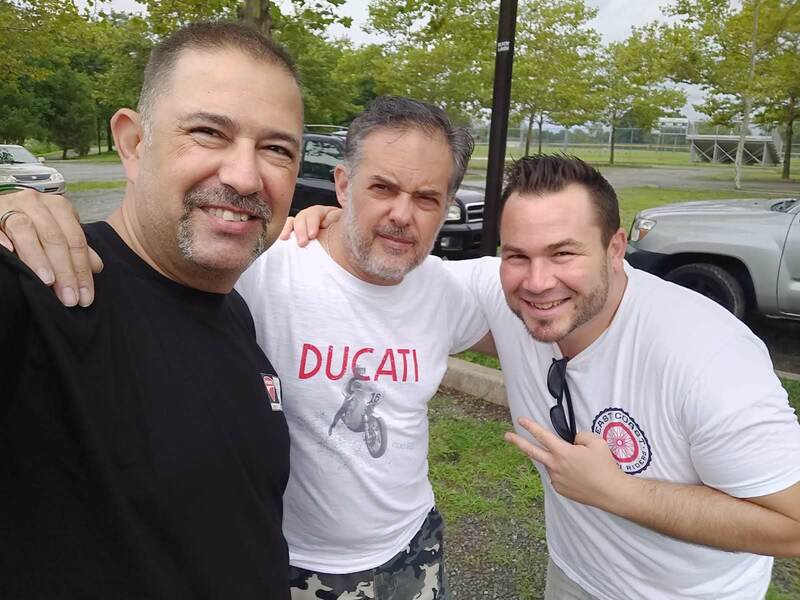 So when Albert (and his brother Walter) asked us to bring the Gotham Ducati club members along to the ECD family BBQ, I was honored by the gesture. Albert even gave let me take his brand new Speciale to ride! We even brought out Sandro, the VP of DesmoDucati, and Daniel, the President of DOC Israel all the way from Tel Aviv! El Duro has some absolutely stunning bikes, like his "La Diez y Seis" custom brat 999.
but turned into a wonderful day! catering the BBQ, and even bringing in an ice cream truck! This is what Ducati family is all about!